Mike is passionate about delivering the highest level of service to each one of his clients. A combination of patience, education, and background in financial planning ensures our clients have a sound plan they can feel confident in. My role as a Financial Advisor at Legacy Financial is to assist individuals and families in achieving their financial goals. 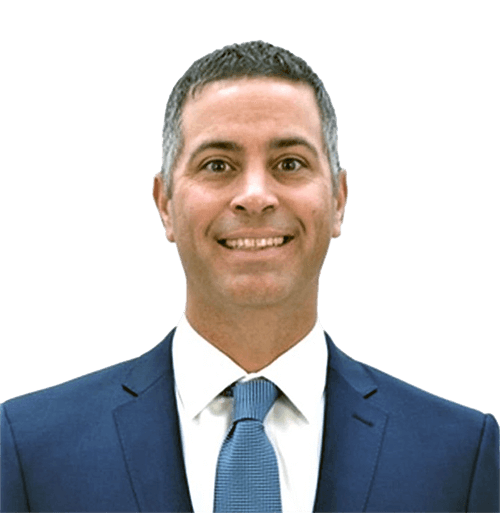 Mike has over 17 years of experience in assisting clients with comprehensive financial planning, investment strategy, income planning, and estate planning techniques. Prior to joining Legacy, Mike worked at Fidelity Investments in Covington, KY. At Fidelity, Mike had the opportunity to contribute in a variety of areas. He has a background in equity, options, and fixed income trading and strategies, and tax-sensitive management. Mike has completed the Series 63, 66, 7, 9, and 10 examinations. Mike completed his undergraduate work at the University of Kentucky and has an M.B.A. from Xavier University, he is also a CERTIFIED FINANCIAL PLANNER™. He and his wife, Beth, live in Northern Kentucky with their three kids Ellie, Emmy, and Jake. As a family they enjoy trips to the lake and beach, visiting Kings Island, and the girls are active in competitive gymnastics. Mike enjoys playing golf, University of Kentucky athletics, FC Cincinnati, and attending concerts. Legacy Get to know Mike.